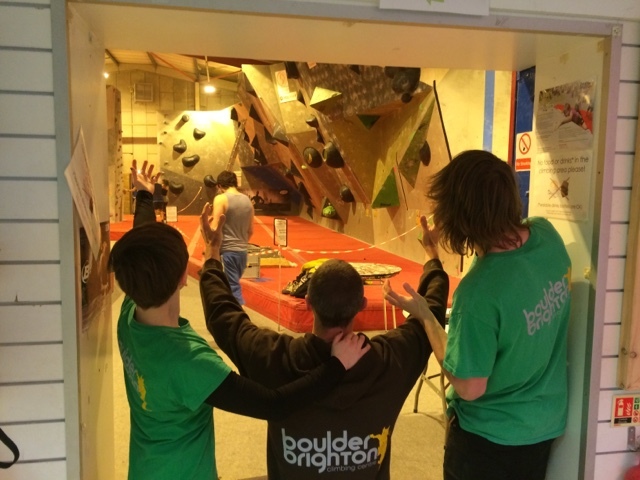 Preparations have gone really well at Boulder Brighton and we have a really awesome set of boulders for you all to try and a wild set of finals problems for the evening. If (when) you are coming down remember you have a hog roast and loads of amazing prizes and giveaways from the awesome sponsors plus a hog roast, vegan/ veg food, an awesome cafe and climbing stalls oh and 25 fun boulders. Please remember we can only accept cash so hit up the cash on your way here. See you tomorrow, check out the website for start times etc.